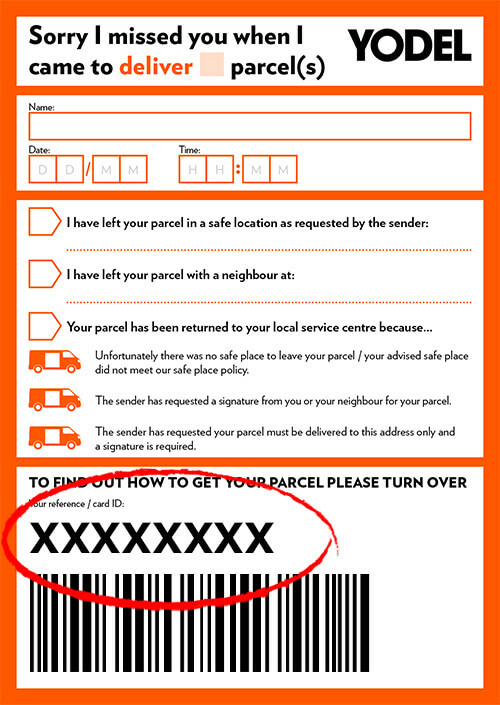 Got a parcel you want to track? Were you left a card by a courier? Were you sent an email? Then your tracking reference number will be in the email. Just click on it and it will take you to your tracking information. If you need more information about tracking then visit the help section and select Tracking. Its has lots of information about anything from 'why there is no tracking information yet' to 'what does the tracking actually mean'. Were you sent a text? Then your tracking reference number will be in the SMS. Just click on it and it will take you to your tracking information. If you need more information about tracking then visit the help section and select Tracking. Its has lots of information about anything from 'why there is no 2hour time window available' to 'what does the tracking actually mean'. 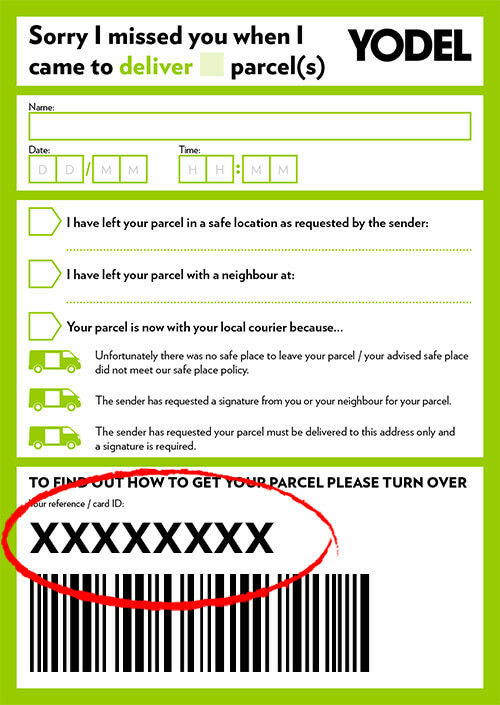 The Yodel parcel manager app lets you track multiple Yodel deliveries all in one place. Yodel are always looking at ways to improve our delivery and support us 100% in our plans for 2017. Our account manager is always on hand and no task is too big or small. Xpect Returns is a home collection service that offers customers a 2-hour collection window.